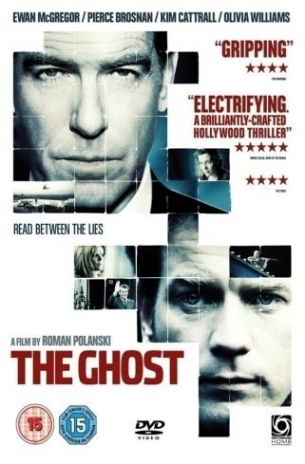 Adam Lang, the disgraced ex-British Prime Minister depicted in political thriller The Ghost (2010) and Roman Polanski, the film’s veteran director, share one thing in common – controversy. Unfortunately for both Polanski and his latest effort, The Ghost’s release earlier this year was overshadowed by fresh allegations regarding the Polish-French director’s private life, unjustly snatching the limelight away from what is one of his best films in recent years. However, due to a spot of good fortune regarding The Ghost’s DVD release schedule and the timely arrival of a certain ex-Prime Minister’s memoirs, Polanski appears to have somehow bought himself another opportunity to “big-up” the relevance of his tense conspiracy thriller, adapted from British writer Thomas Harris’ novel of the same name. Polanski’s patient, atmospheric “who dunnit” appears to be somewhat of an anachronism in a decade dominated by the high octane thrills of the Bourne series, yet this only serves to make it all the more refreshing. What is more, comparisons to Hitchcock’s unique brand of carefully-constructed, paranoid thrillers are, for once, well founded. As with all classic Hitchcockian thrillers, setting is key, and the eerie, desolate island of Martha’s Vineyard successfully complements the feelings of isolation and paranoia felt by our protagonist. Special mention should also go to the film’s lively score, which proves to be the perfect accompaniment to the ghostwriters numerous moments of astoundment and revelation. The Ghost’s central performances are more of a mixed fare. McGregor’s English accent is inconsistent at best, whilst Brosnon’s brooding turn as ex-PM Lang is perhaps more John Major than Tony Blair. The film is instead stolen by the criminally underrated, Camden-born Olivia Williams (perhaps best known to audiences for her star performances in Wes Anderson’s Rushmore  and The Sixth Sense ) as Lang’s tenacious wife Cherie…I mean Ruth. Williams somehow manages to convey both vulnerability and an uncanny sense of cold, reptilian intelligence behind her public façade as an eminent leader’s “rock” of support. In addition, a fleeting appearance by the legendary Eli Wallach (the “Ugly”) and a few brief glimpses of the ever-watchable Tom Wilkinson successfully aid in covering for some of the film’s weaker contributions. The Ghost’s final narrative revelations appeared to divide cinema audiences earlier this year into two distinct categories; those who left disappointed by the contrived nature of the plot’s conclusion, versus those that enjoyed the precursory ride of intrigue and deception too much to truly care. I for one found myself falling into the second category.